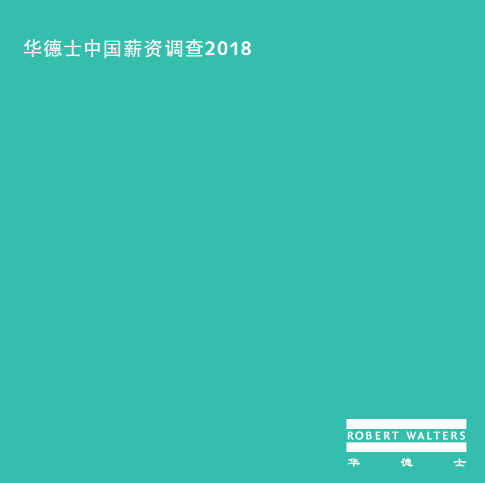 (Dec.5, 2017, /HRoot.com/)Robert Walters, one of the world’s leading professional recruitment specialists, released its Salary Survey (“the Report”) for the 19 th consecutive year. The Report provides detailed analysis and forecasts of the job market. Due to the continuous eastward shift of economic activities, China’s recruitment market remains strong, while the accelerating digital transformation and increasing business technology investments have been driving hiring activities in areas of innovation and technology, e-commerce, and digital marketing, as well as in the finance and HR sectors. 2018 will see an average of 10-20% salary increments for job-movers and 5-8% for those staying in their current role. At the same time the competition for bilingual talent and professionals with international company experience will be intense in 2018 with the continued internationalisation of Chinese companies. Manufacturing and engineering industries will continue to grow with the evolution of Industry 4.0 in China and under the ‘Made in China 2025’ scheme. More R&D centers are being built in China to foster innovation and the cost-efficient development of new products. In addition, there will be high demand in the life sciences and pharmaceutical industries for R&D, technical and sales specialists. A shortage of suitably skilled candidates in these fields will drive up salaries, with expected salary increments of 10-15% for operations & manufacturing experts moving jobs in 2018.